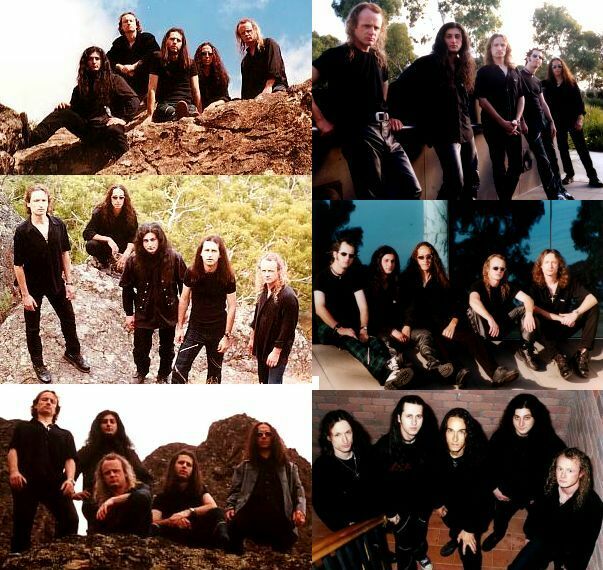 Originally known as Kymera (since they were a chimera of sorts, coming from different bands), they steadily gained a following, then recorded the 3-track promo/sampler of "Sands Of Time" in 2001-2. Their last gig as Kymera was at the Metal Warriors Metalfest at The Espy on Saturday 23rd February 2002 (the welcome home gig for Vanishing Point after their European tour). They had sent out the call for ideas for a new name on Screaming Symphony (prog/power show on 3PBS FM), and did again at the Metalfest. The name Arkaya was arrived at by original bassist Cory Betts, and it was this name that appeared on the original cover of the promo. The much-anticipated launch came on Friday 19th April 2002 at the Barleycorn Hotel. Such was the demand for the sampler that all copies were sold outside before they could even make it inside. As you can imagine, there were some pretty shocked Kymera/Arkaya fans inside! The night was a whopping success, but within a couple of days the rumour that Cory had either been kicked out or had left started circulating around the newsgroups. As it turns out, he left the band straight after the gig, for reasons no one can fathom (since he never gave an explanation). The rest of the guys let Cory keep his "Arkaya" and sent out the call for band-names yet again. On Wednesday 26th June 2002, they announced the addition of Joe Fata (nicknamed "The Sheriff") to the line-up as their new bass player. They got a flood of band-name ideas from fans on the web, but it was when Stevie suggested "Majestic Black" that they came up with their new name. On Tuesday 2nd July 2002, at 2.22 PM, an email was sent out to members of the Kymera/Arkaya newsgroup asking them to join the one for their new group - Black Majesty. The response to the new name was great, so they knew they were on a winner. A new batch of promos were pressed - still with the orange desert-scene cover, but with their new name across the top - and they moved swiftly to make sure the world took notice of Black Majesty.